Coming to Nepal is the secret dream of many people: to see the famous snow capped mountains, to explore its cultural heritage and to experience the friendliness of the Himalayan people. My aim is to share with you - not just the Ashtanga practice, but also the cultural and spiritual treasures of the country, in which I am deeply involved. For the last seven years I have lived in Kathmandu's Tibetan community studying Buddhist philosophy and Himalayan languages. I speak Tibetan, which is the native language of the Tibetan expats in and of many people along the Northern borders. I also Study Sanskrit, which was traditionally widely used among the Nepali Brahmin population and the Newar Buddhists. During my retreats I will take you to some of my favourite places around and beyond the Kathmandu valley, where I will do my best to introduce you to the Sacred and the Marvellous Nepal. This is the true land of the yogis, a melting pot of cultures, people and religions - come practice Ashtanga with me in the spiritual hub of the Himalayas! Ashtanga Yoga is a transformative practice. It is a life -long journey in which we confront deeply rooted mental and physical patterns and work directly with our own limitations. Ashtangais not the easiest but it is an immeasureably rewarding practice as long as we committ to it: the truth isthat that we can all change! - and Nepal is a place that takes yogic practitioners very seriously. The valley which for centuries has been the home of great spiritual adepts, is scattered with meditation caves and shrines dedicated to great yogis of the past. This is ta place where many practitioners still spend months and years in solitary retreats and the perfect place to engage in deep transformative practice. Here we have the support of limitless sky, the vastness of the mountains and a huge and diverse spiritual community. I have lived in Nepal for more than seven years, studying religion and Himalayan languages at Kathmandu University. During this time Nepal has become my new home and the place in the world where, according to my passion for yoga and spiritual practices, it makes the most sense to live. What that makes Nepal so unique apart from its breathtaking snowcapped mountains, is the culture and not at least the people. I arrange exclusive treks and tours to sacred places. Through my knowledge ofthe local culture and language I will introduce you to the people and places we visit so thatyou can make a deeper connection with the country. 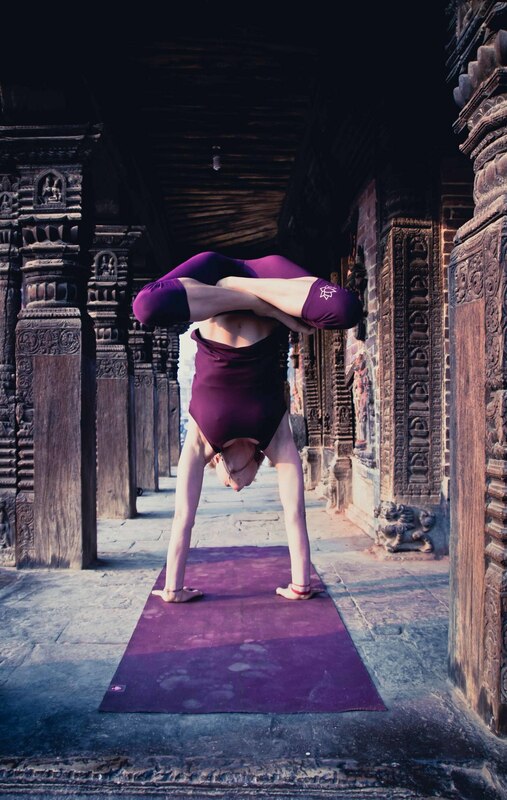 You are now signed up to Ashtanga Nepal's newsletter! We will be sending updates about our courses and retreats about once every 3 months. We hope you will find our updates useful. If you need more information or have feedback to share, please do not hesitate to contact us!